We’d love your help. Let us know what’s wrong with this preview of Getting Rowdy / Dash of Peril by Lori Foster. To ask other readers questions about Getting Rowdy / Dash of Peril, please sign up. Great way to wrap up this series. Loved Rowdy's story and Avery is the perfect match for him. I enjoyed the mystery intrigue aspect of the book. Dash and Margaret's story wrapped the series up nicely. Dash being strong enough to allow Margaret to be the strong woman she is a wonderful part of the story. Getting to know Cannon is also a bonus because I know how his story goes already. I would recommend these stories to any adult reader that enjoys strong heroes and heroines. Getting Rowdy is book 3 in the Love Undercover Series. In Getting Rowdy we get to know Rowdy & Avery's story. Logan & Pepper (from Run the Risk) and Reese & Alice (from Bare it All), Dash (Logan's brother, whose story will be next) all make appearances. We also meet Marcus and Cannon (Cannon's story is coming after Dash's). I've thoroughly enjoy the entire Love Undercover Series. However Getting Rowdy is my favorite so far! ;)I want my own Rowdy! I can't wait to see what happens next Getting Rowdy is book 3 in the Love Undercover Series. In Getting Rowdy we get to know Rowdy & Avery's story. Logan & Pepper (from Run the Risk) and Reese & Alice (from Bare it All), Dash (Logan's brother, whose story will be next) all make appearances. We also meet Marcus and Cannon (Cannon's story is coming after Dash's). I've thoroughly enjoy the entire Love Undercover Series. However Getting Rowdy is my favorite so far! ;)I want my own Rowdy! 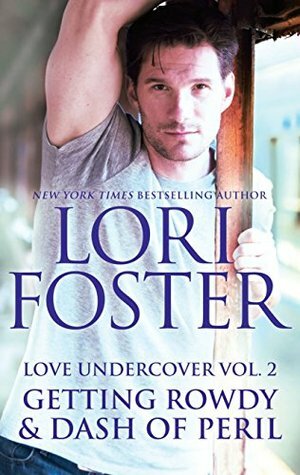 I can't wait to see what happens next in the Love Undercover series. I highly recommend all of Lori Foster's work. She's a excellent author. Never fails to hook you from the very beginning.